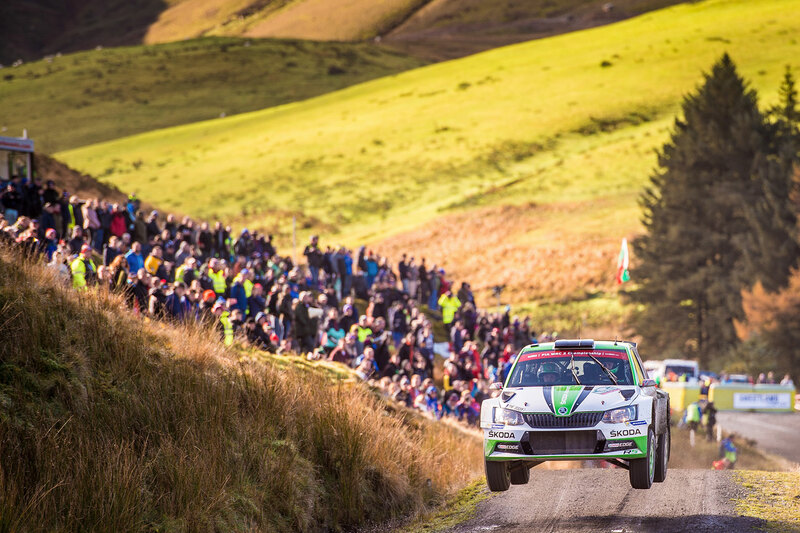 Mixed emotions for the team of ŠKODA Motorsport at Wales Rally GB, the penultimate round of the 2017 World Rally Championship (WRC). 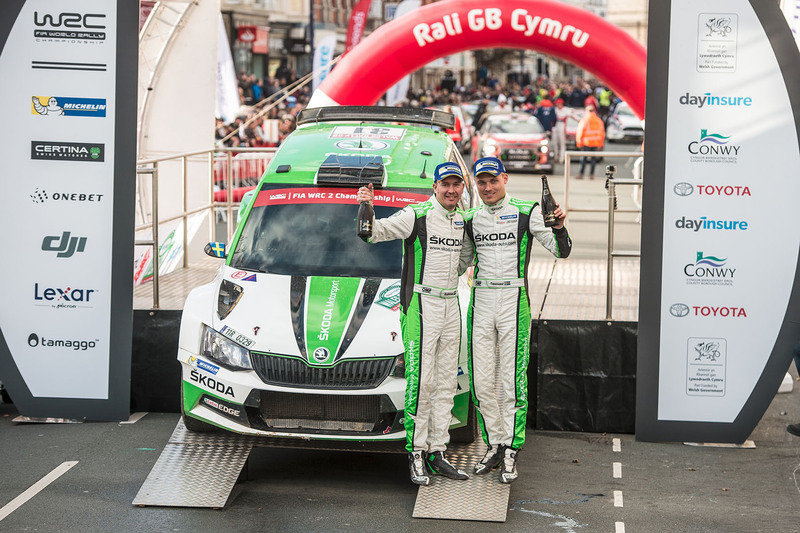 While newly crowned WRC2 Champions Pontus Tidemand / Jonas Andersson, driving a ŠKODA FABIA R5, moved into the lead already on the first stage and built a convincing lead until the end of the first leg, Ole Christian Veiby / Stig Rune Skjaermœn had to retire from second after they rolled their ŠKODA FABIA R5 during the fifth stage. 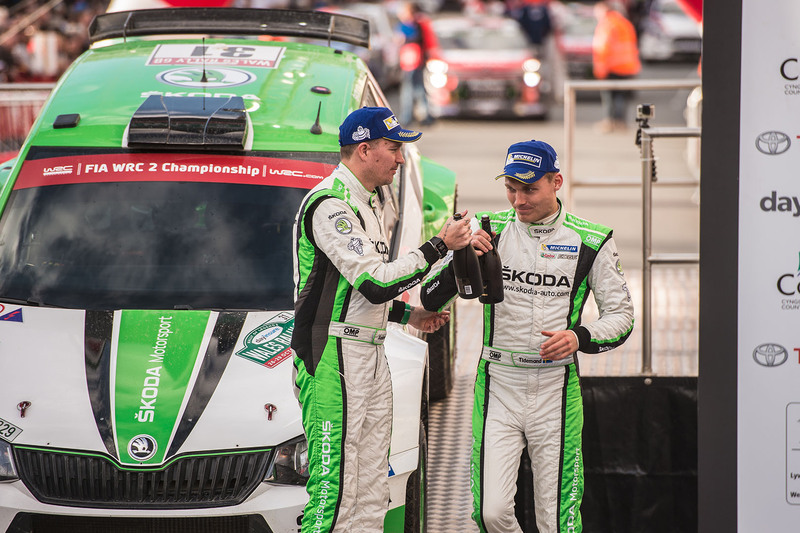 Meanwhile, teammates Juuso Nordgren and Tapio Suominen from Finland demonstrated a steep learning curve. Step by step they improved their speed, eventually moving up to seventh position at the end of the first leg. 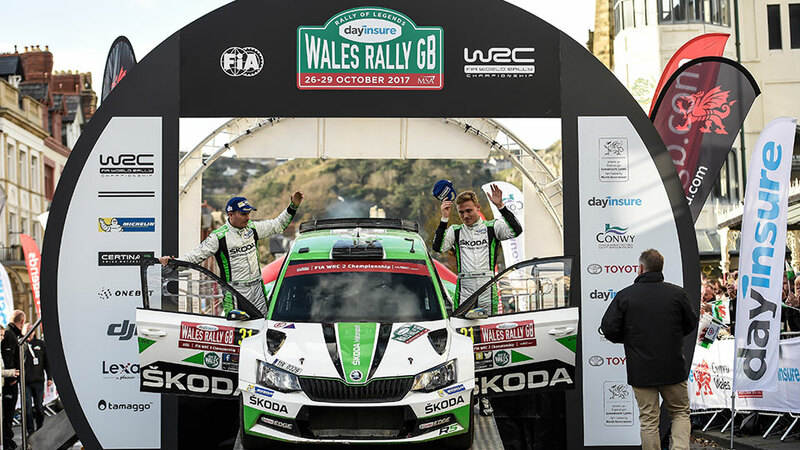 After the 1.53 kilometres short but spectacular show stage at the Tir Prince trotting track in Towyn, which was won by Pontus Tidemand, the real action started on Friday morning in the Welsh forests. 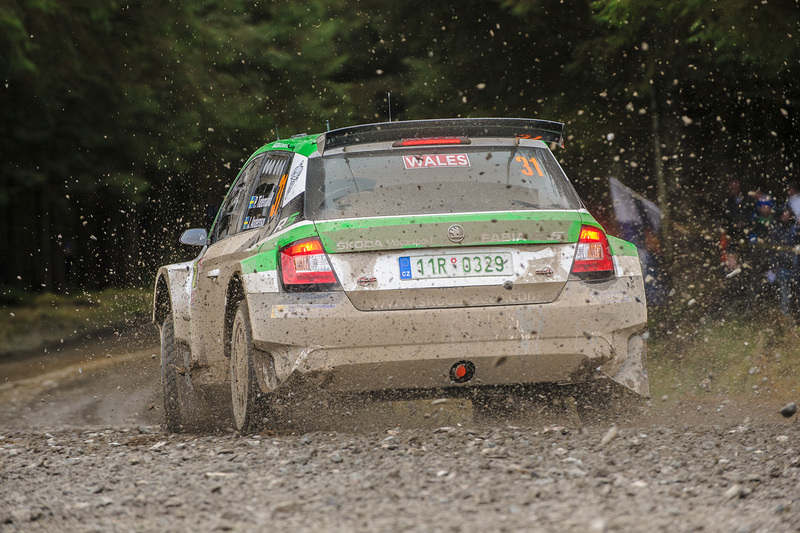 The biggest challenges for the drivers were the unpredictable surface and frequent grip changes on the gravel stages. As bright blue sky and sunshine are not the typical weather conditions in Wales at this time of the year, some passages of the stages offered a lot of grip, others were still muddy and slippery. 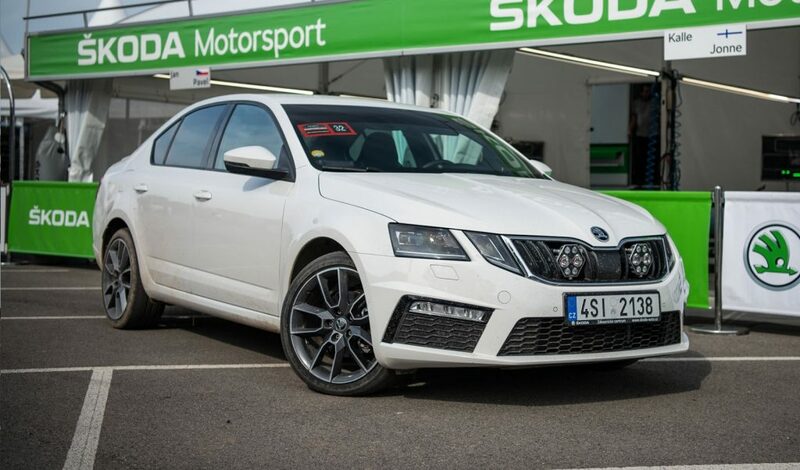 “You have to read the road and have to adapt your driving style permanently,” ŠKODA factory driver Pontus Tidemand described the challenge. 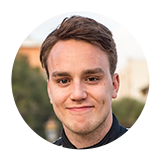 Having prematurely won the WRC2 Championship, Pontus Tidemand and co-driver Jonas Andersson could start without any tactical considerations. 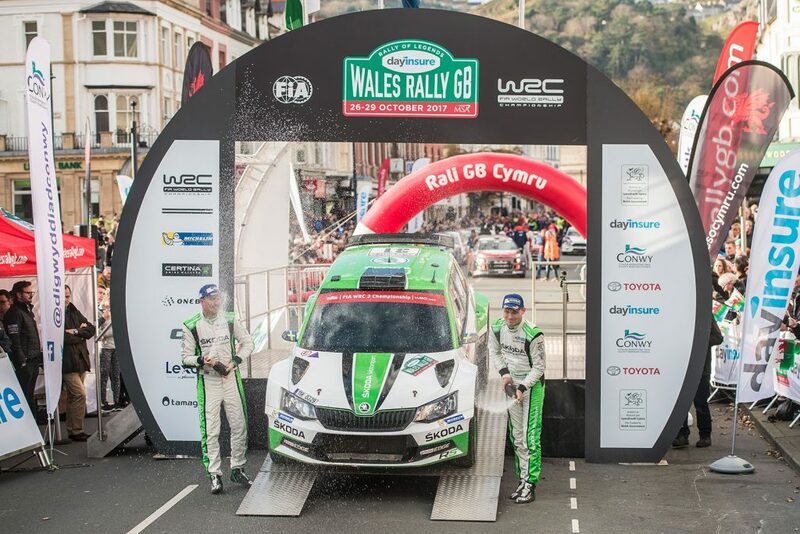 Already on Friday’s first special stage, the 20 kilometres of Myherin, they set the fastest time. On the 4 kilometres short stage “Sweet Lamb”, which was visited by ten thousands of spectators, he was fastest again. 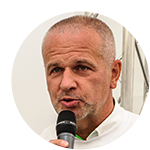 Unfortunately, on the next stage, he lost some time stuck behind a slower competitor from the WRC Trophy who had started in front of him. ŠKODA’s young Norwegian O.C. 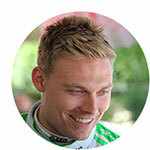 Veiby was fastest in there. 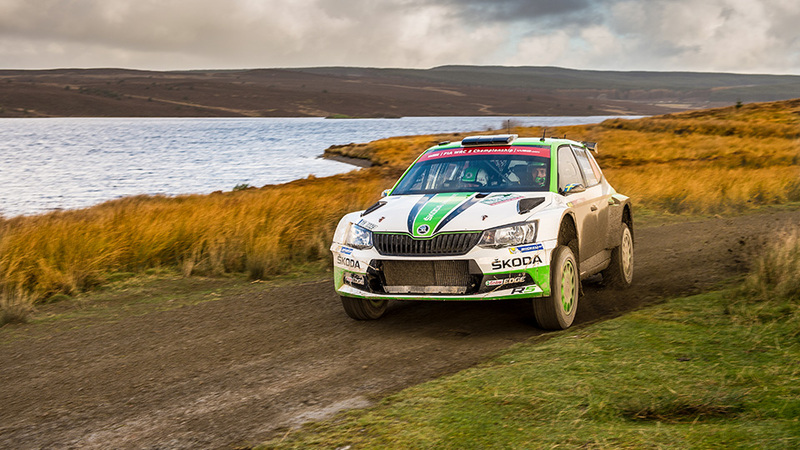 Up to the rest halt after four stages in Newtown, Tidemand and Veiby had secured a double lead for ŠKODA Motorsport. On his very first Wales Rally GB Juuso Nordgren opted for a cautious approach, at that time nevertheless lying inside the top ten after a trouble-free morning. The afternoon saw the repetition of the three morning stages. 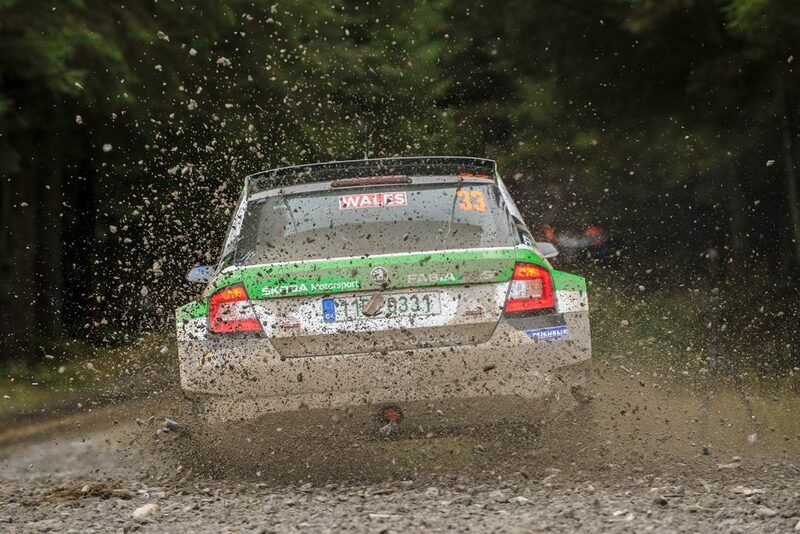 For second-placed Norwegian youngster team Ole Christian Veiby / Stig Rune Skjaermœn all went wrong during the second passage of the Hafren stage. 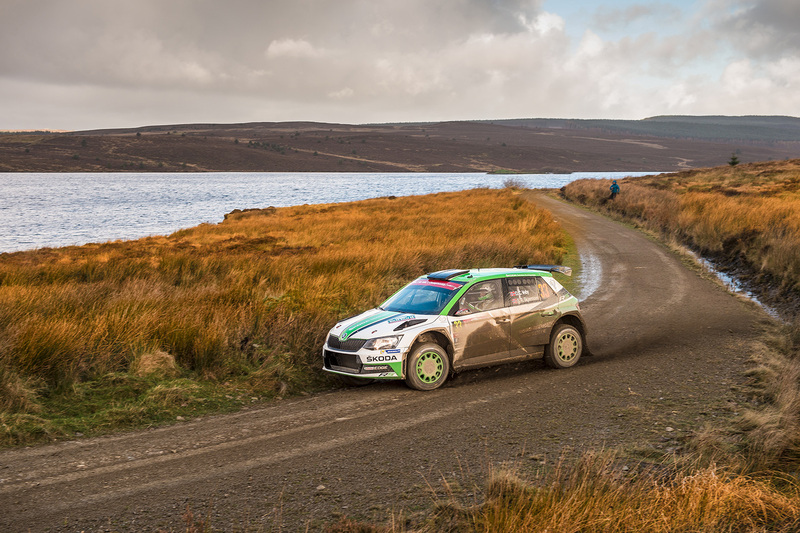 They rolled their ŠKODA FABIA R5 just 1.2 kilometres after the start into a ditch. A broken damper finished their day prematurely. 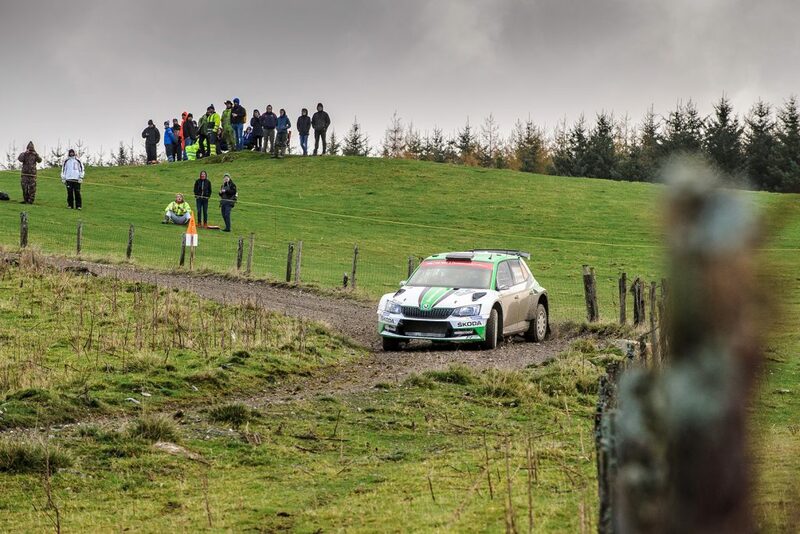 “I cut a corner too much, hit a stone and rolled, what a pity,” commented Veiby. 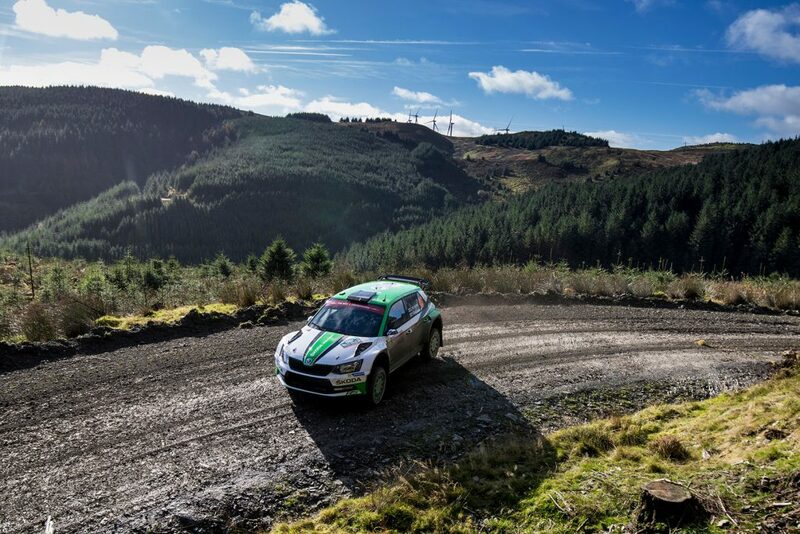 Meanwhile, team captain Tidemand scored another fastest stage time and steadily moved away from his closest competitor, Ford driver Eric Camilli. 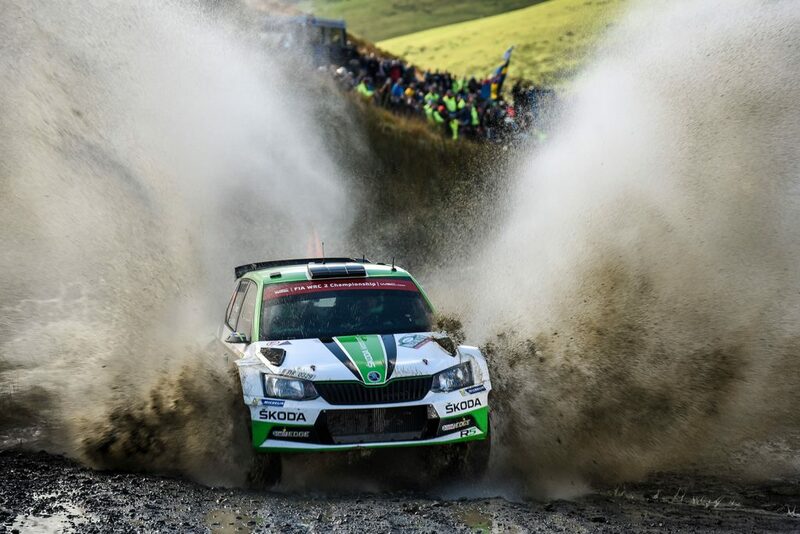 At the end of leg 1, Tidemand was leading the WRC2 category by more than 40 seconds. 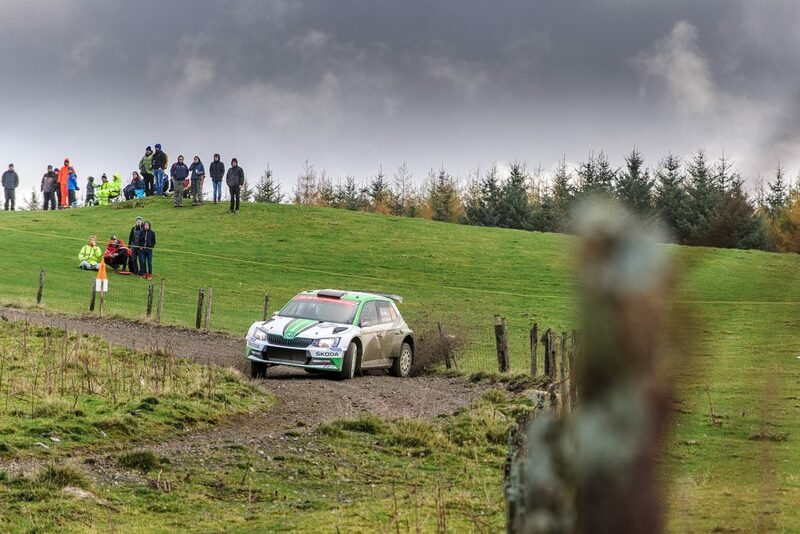 “In the middle of the last stage I struggled to find the rhythm, but afterwards it got better. But for sure I like this rally,” admitted the newly crowned WRC2 champion during the evening service at Deeside. 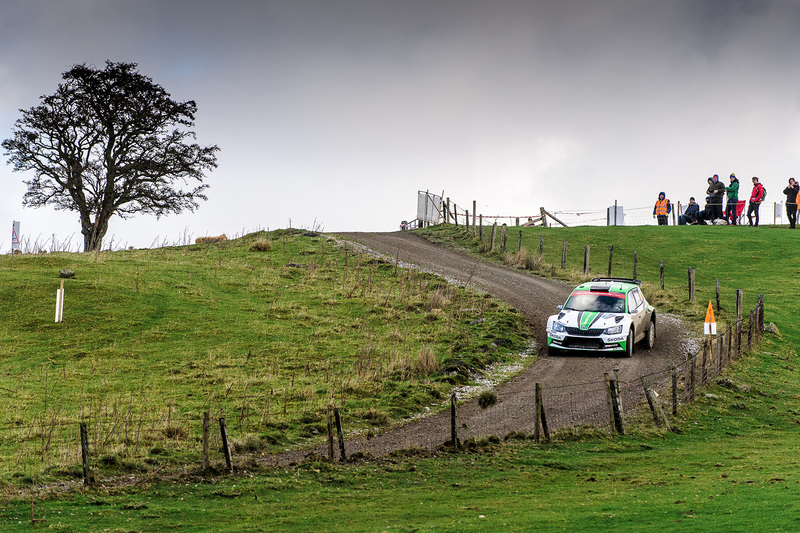 Juuso Nordgren steadily improved his speed during the second passages of the Friday stages, moving up to seventh position in the WRC2 category standings. On Saturday a real marathon is waiting for the crews. 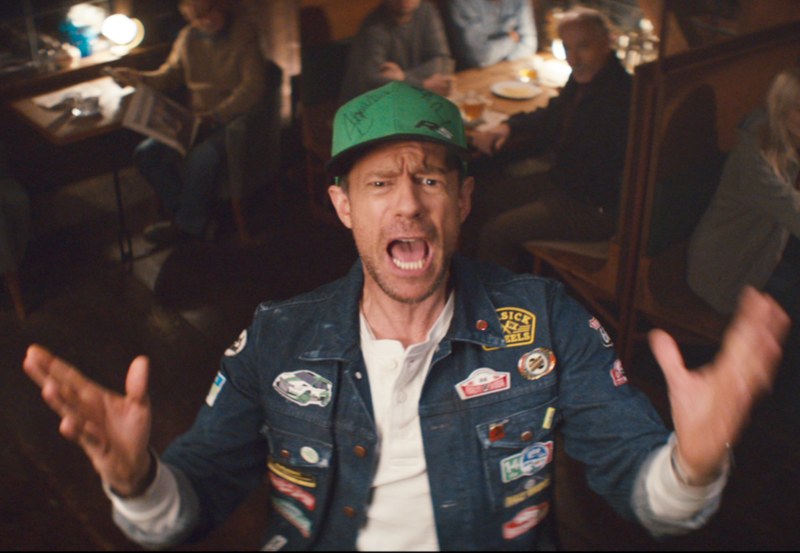 They have to face 17 hours on the road, including 142 kilometres on nine stages – seven of them without any service in between. 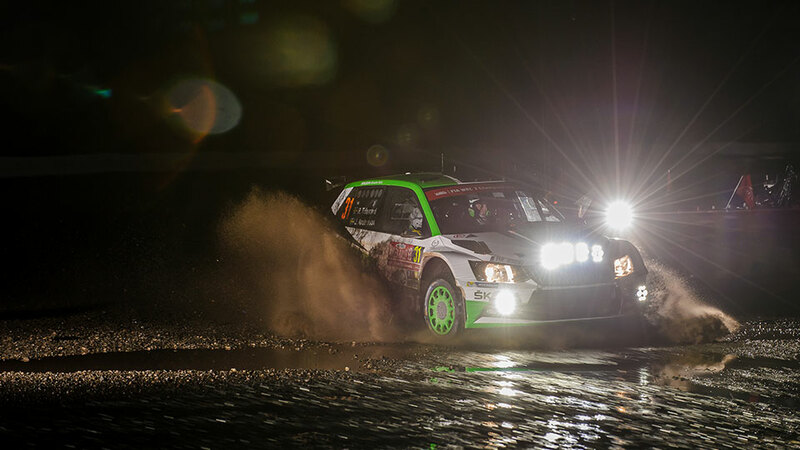 On Sunday, five stages and 41 kilometres will bring the final decision, the eventual winner crossing the podium at the seaside resort of Llandudno around 14h00. 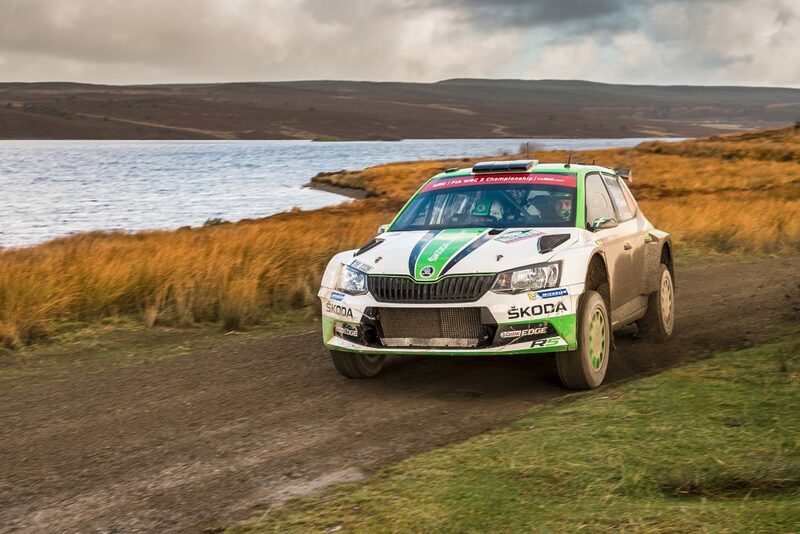 The newly crowned WRC2 Champions Pontus Tidemand and co-driver Jonas Andersson, driving a ŠKODA FABIA R5, scored five fastest times on the so far seven stages of Wales Rally GB. One fastest time went to teammate O.C. Veiby, Ford driver Teemu Suninen was quickest on the last stage of the day.